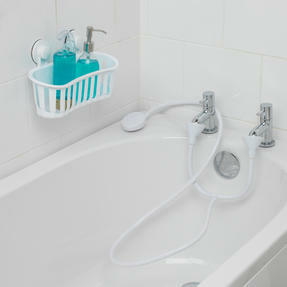 Perfect for use in smaller bathrooms or in caravans, this Beldray set includes a push-on mixer tap shower and a plastic suction cup storage basket. 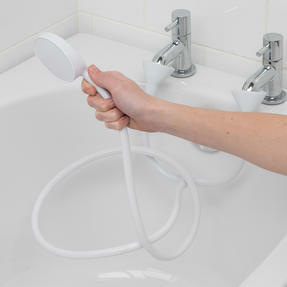 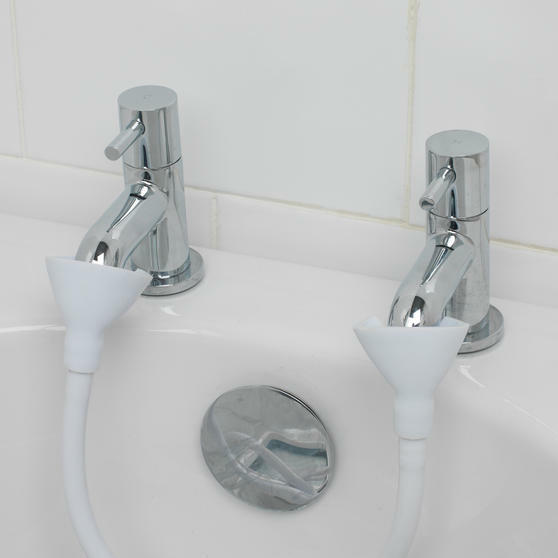 To use the shower, push each connector over the head of both hot and cold tap spouts until secure and the Y-shaped junction allows for improved water mixing and temperature control. 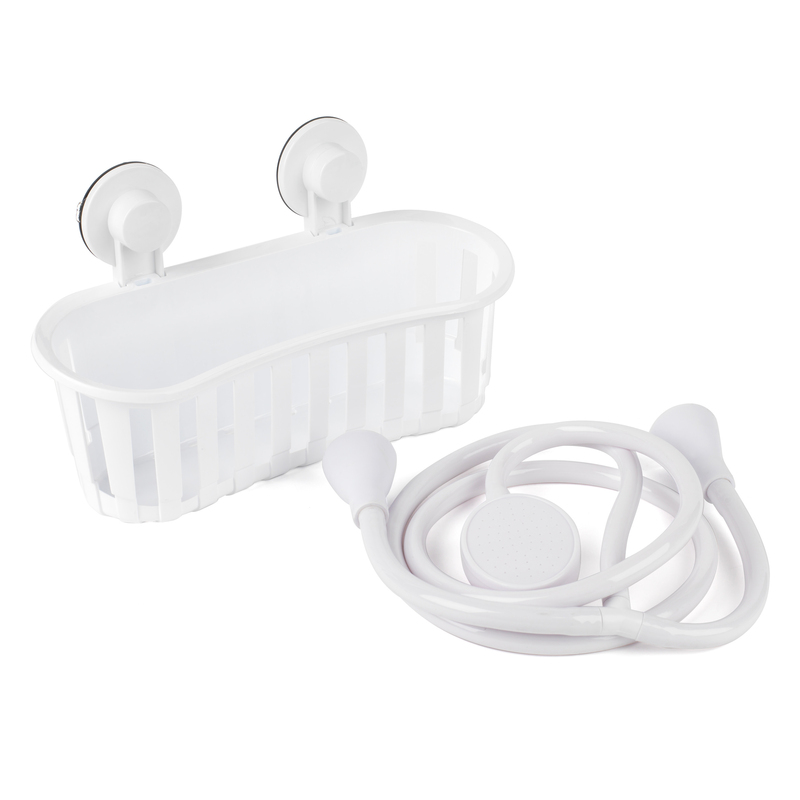 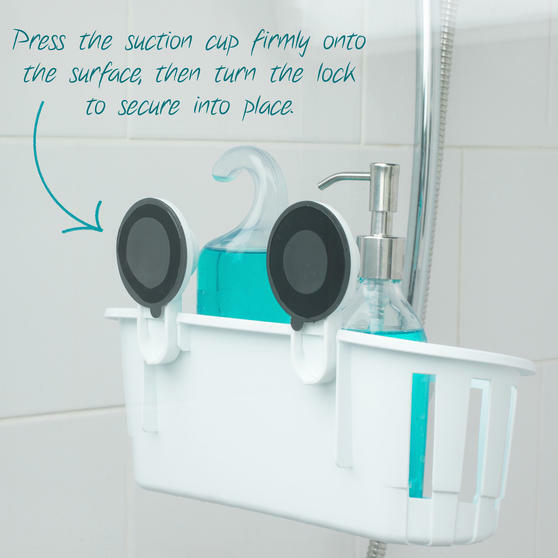 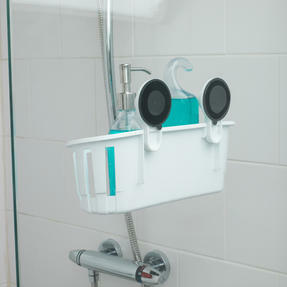 The suction cup shower basket requires no tools to install, simply attach to any smooth surface and the strong suction cups will provide a secure hold. A great addition for any bathroom or caravan, this set from Beldray includes a mixer tap shower and plastic suction cup storage basket. 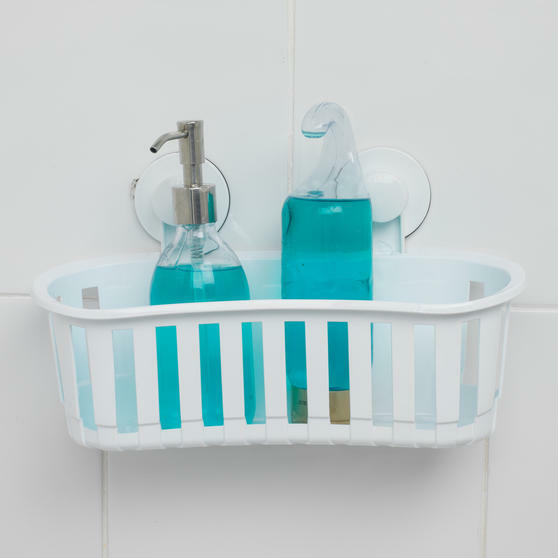 The storage basket includes strong suction cups to provide a secure hold on smooth surfaces, with no tools required for installation.